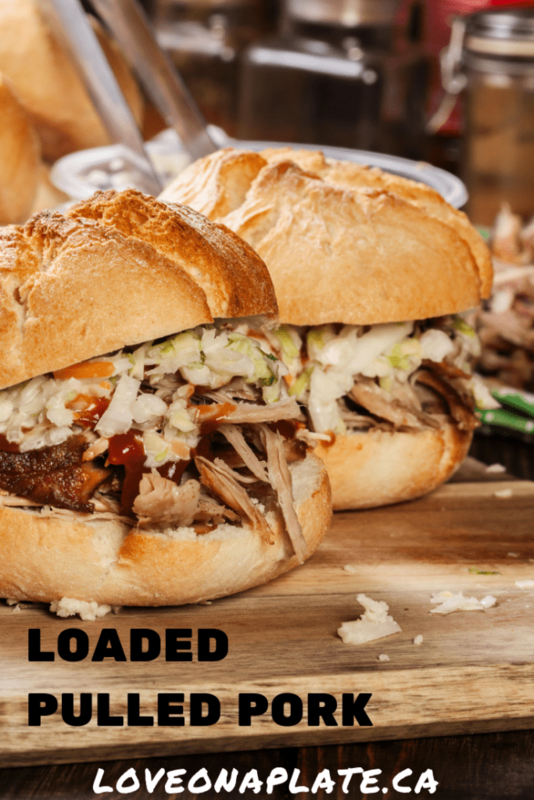 I love the ease of making a big batch of pulled pork in my Slow cooker for grab and go meals during the week or to feed a crowd. 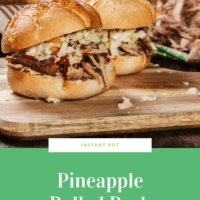 I also love how many variations you can make, and this Pineapple Pulled Pork is one that is perfect for warmer weather days, with it’s pop of flavour from the Pineapple and cilantro. Absolutely! This recipe is definitely prepaheadable and freezable. Quick tip, if you want easy meals for singles or snacks, measure out half a cup of the Pineapple Pulled Pork and place it on a parchment lined cookie sheet. Once frozen, pack into freezer safe bag or container. Grab what you need, when you need it. What could be better than that? 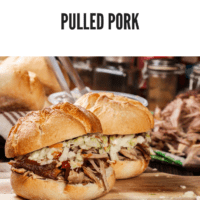 There are many options for side dishes to serve with pulled pork. As this one is a bit on the sweet side, I like to balance it out with my Sweet & Spicy Coleslaw or Pineapple Cilantro Coleslaw. Both have a freshness that really pair well with Pineapple Pulled Pork. 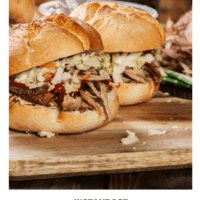 Prepaheadable, slow cooker and Instant Pot friendly recipe for Pineapple Pulled Pork. Great for a crowd, freezer friendly and delicious! In a crockpot place pork should, crushed pineapple, soy sauce, chili powder, coriander, fresh garlic, jalapeno, lime juice and sliced onions. Set crockpot to low and cook for 8 hours or high for 4 hours. Shred pork with two forks. Stir in BBQ sauce and pineapple tidbits. Serve on toasted buns with chopped cilantro and red onions. 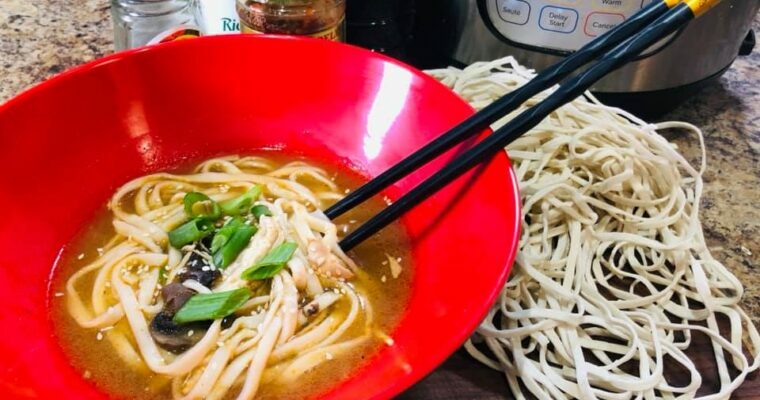 If you want to make this in the Instant Pot, which is definitely a time saver, it’s super simple to do. Follow the directions above, but add 1 cup beef broth to the Instant Pot. Set to 45 minutes high pressure, when done, do a Natural release (NPR) for 10 minutes. Open the lid and shred! EASY! This recipe is fantastic! 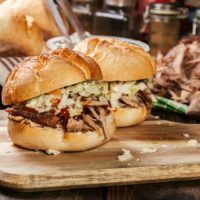 I made these pulled pork sandwiches twice this weekend for a group of 20 friends and then for a group of 10 family members. I received lots of compliments from both groups with several people saying it was the best pulled pork they had ever had!! I used the instant pot method to cook the meat the night before then added the BBQ sauce and tidbits the next day when I reheated it in my crockpot for serving. They are easy and delicious! Thanks Lara for allowing me to impress my guests with your great recipe! Judy so glad to hear that it all worked out! That is a lot of hungry people to feed. Glad everyone enjoyed this prepaheadable meal. It is great for entertaining!